This post has been sponsored by PAPYRUS® Recycled Paper Greetings. All thoughts and opinions are my own. 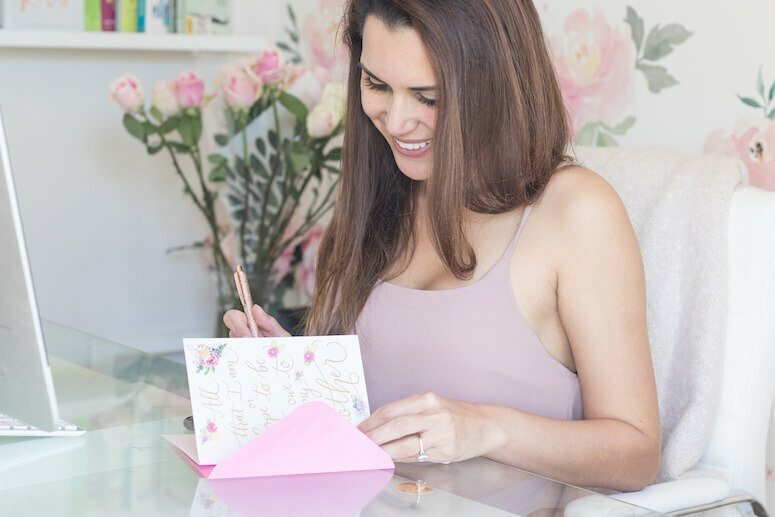 If you’re looking for a way to celebrate mom this year that’s beyond flowers and a generic gift, consider putting together a luxury Mother’s Day gift basket! 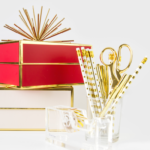 I love the idea of celebrating mom with items that she’ll love and will make her feel extra special—things that are luxurious, spoil her, and all play nicely together as part of a luxe Mother’s Day gift basket. 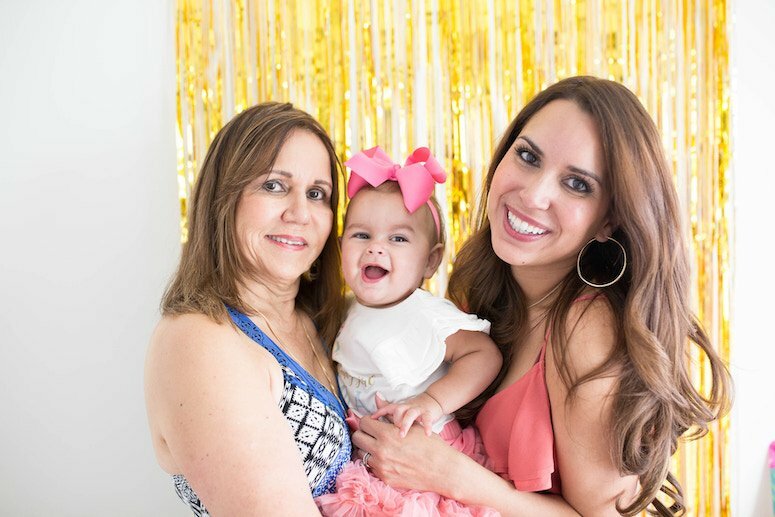 It doesn’t have to be complicated; these ideas are here to inspire you, but you know your mom best! 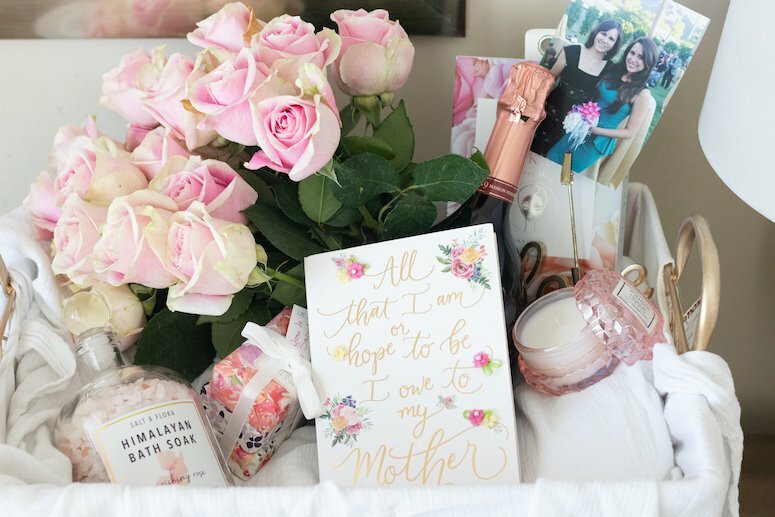 What I love about putting together a Mother’s Day gift basket is that it’s several personalized gifts and together, they just wow. 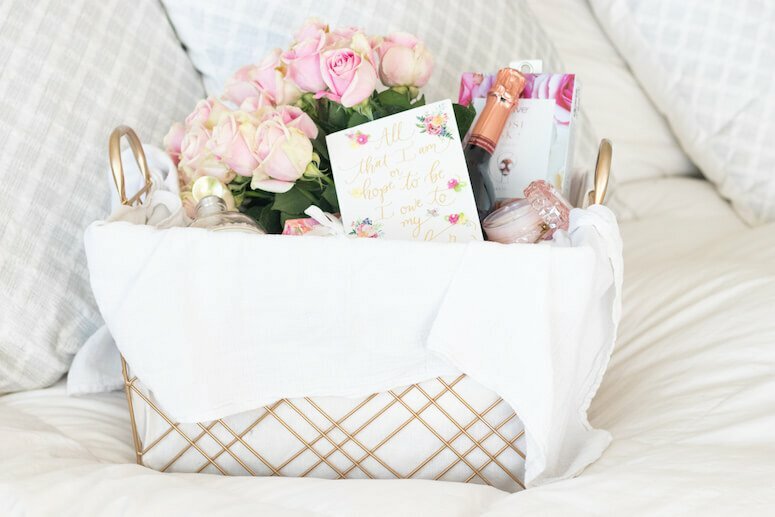 Here’s how to curate your own Mother’s Day gift basket that your mom, sister or mom-friend will totally love! Some years, I gift my mom flowers; some years, I go above and get several things. But the No. 1 thing I never skimp on is the card, which I always get from PAPYRUS® Greeting Cards. 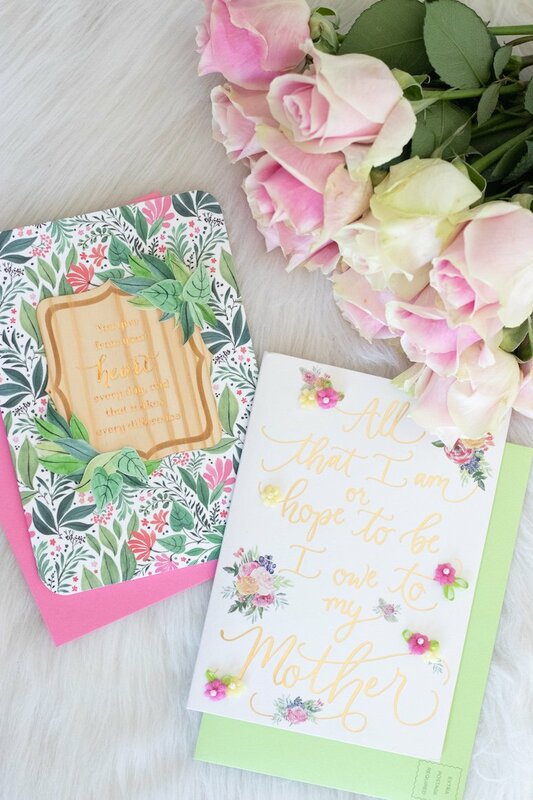 These luxury greeting cards are the prettiest out there, which is why we buy them for all special occasions. 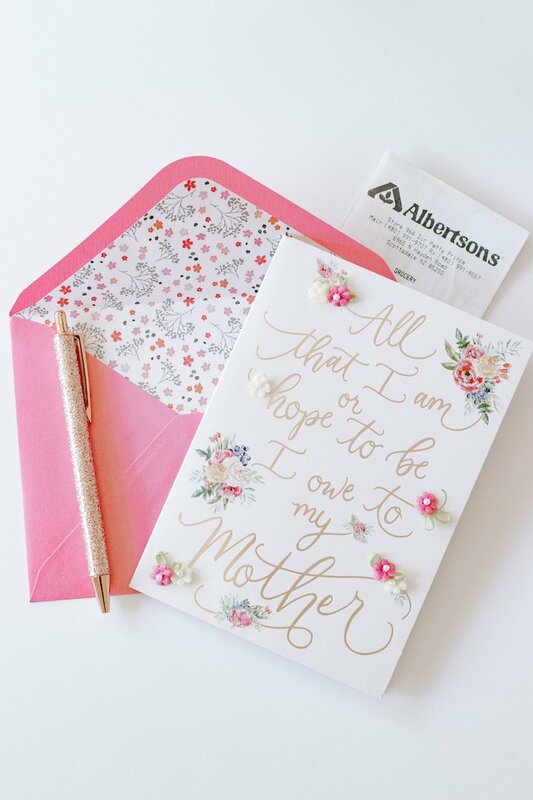 This year, I picked up my Papyrus card for my mom at my local Albertsons, along with a few other goodies for the gift basket, too. The special message inside, along with what I write, is truly what she cherishes the most. And if you’re one of those that struggles with what to say, they all come with beautiful messages already. You can never go wrong with something handcrafted and so gorgeous! To make your Mother’s Day gift basket really pop, decide and stick to a cohesive color scheme. That’s why I suggest picking out your card first so you can tailor the rest of the gift basket to coordinate with it. 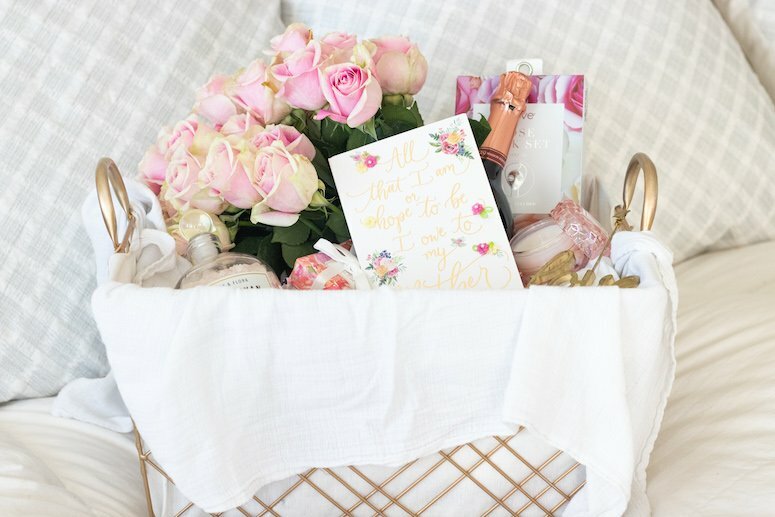 For this gift basket, I selected items that were mostly pink, white, gold and green, since those were the colors of the card. And I found a few items to include from Albertsons while I grabbed the card! Sticking to a color scheme elevates the gift basket, and it’s really easy to do. Flowers, a card, and something like a luxe candle are pretty much givens, in my opinion. But if you can, try to include something personal, too. 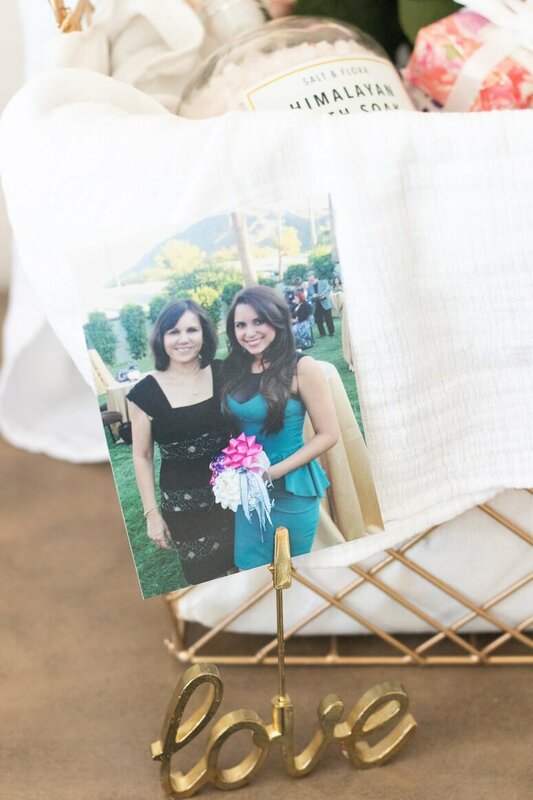 A framed photo of you and mom, or with the grandkids, is a beautiful personal touch she’ll love. You can frame them, put together a nice calendar, or add something like a piece of jewelry, too. Mother’s Day is about being appreciative and spoiling mom—a girl always likes to be spoiled! 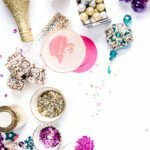 Include a few items in the gift basket that will make her feel pampered, like luxe bath salts, silk pajamas, or a luxury robe. For my mom, that means always including a great bottle of champagne! We always love to share a bottle together on Mother’s Day. The relationship I have with my mom is one of the most important in my life—I want her to feel loved, cherished and adored on Mother’s Day. 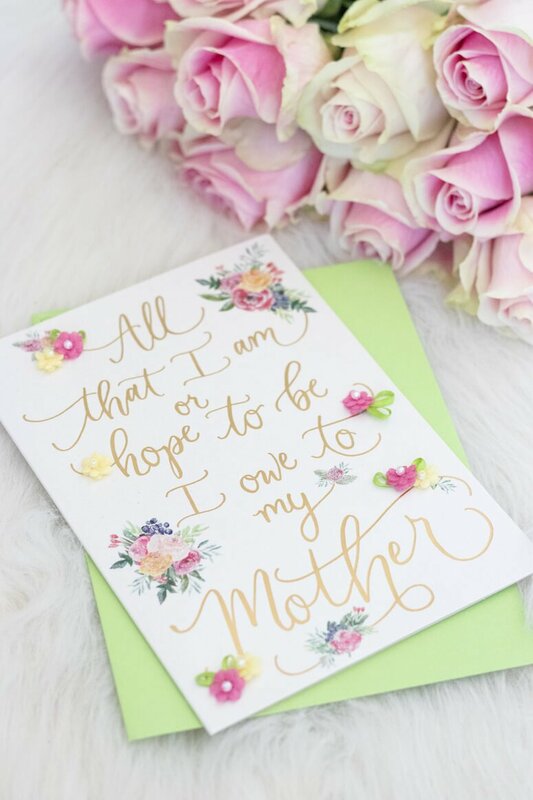 That’s why a beautiful card, personal touches, attention to detail and a few curated items that I know she’ll love are a great go-to for Mother’s Day. 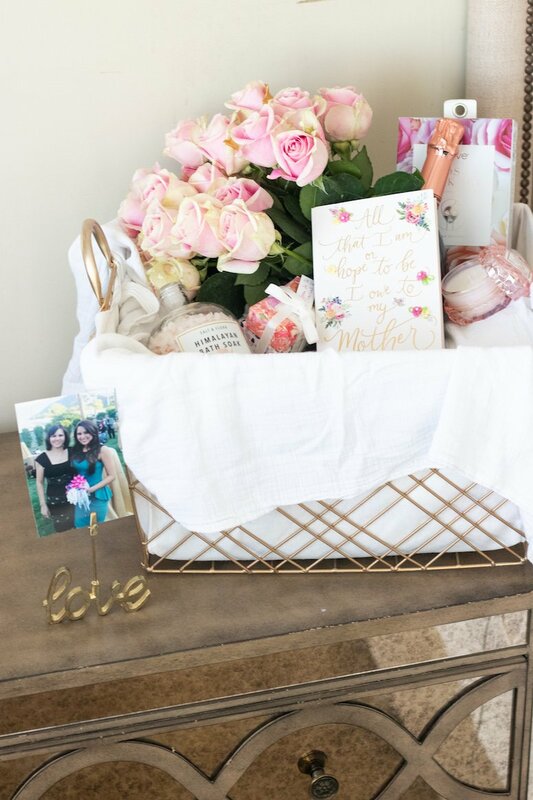 Have you put together a gift basket for Mother’s Day? What are some items you would include? 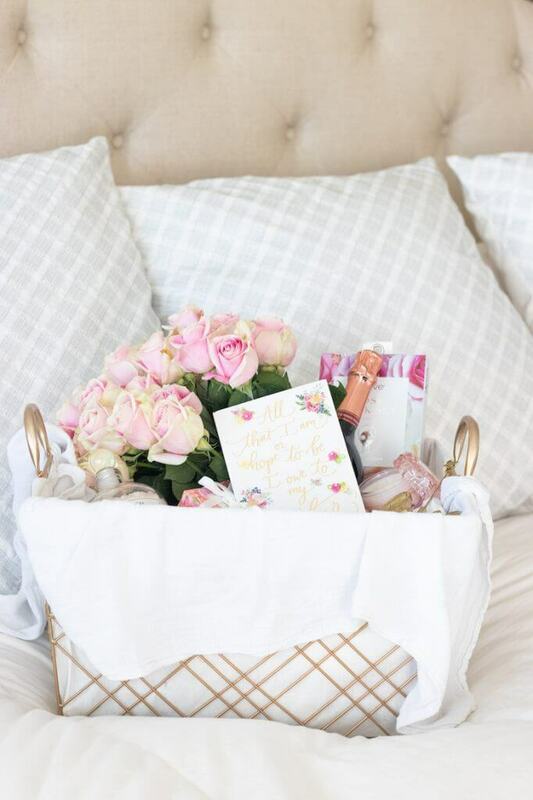 Be sure to remember a gorgeous card from Papyrus to tie the basket together! A gift basket is a great idea! And the cards are so pretty. Any mom would love such a thoughtful gift. What a great idea. Any mom would be lucky to receive this! I love these cards, giving and receiving them! I’d love a luxury mother’s day present for myself as well! My mom kept all the cards I gave her for Mother’s Day and her birthday. When I lost her I found them all in a treasured box and it made me feel so good that she cared that much. I’m so sorry for your loss, thank you for sharing your story! My mom is very sentimental like that too and keeps her cards as well. 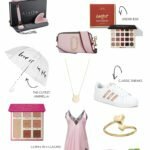 What darling gifts for mom! 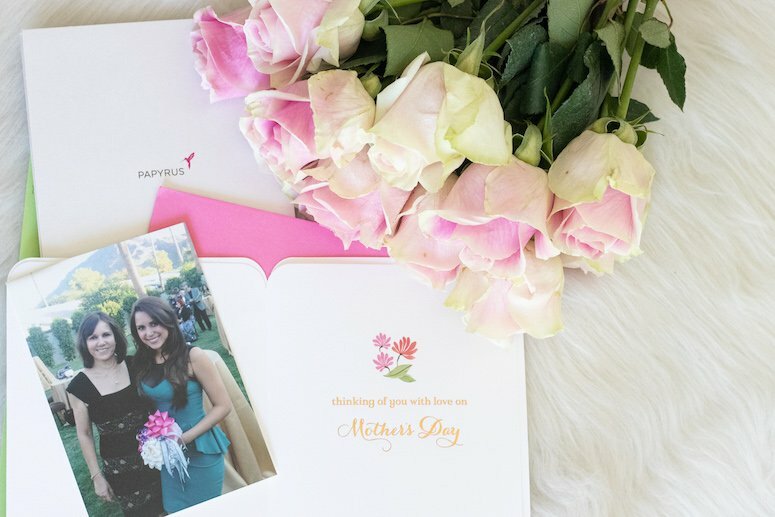 It’s so great to spoil our moms on their special day- I love the items you selected! Thanks for the ideas! I definitely need to start looking at what to get my mom for Mother’s Day, but you really helped me out! 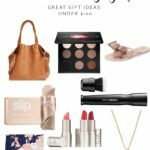 What a great way to incorporate all her favorite things in one gift! LOVE it! What a fun idea! I’m definitely doing something like this for my mom! This basket is goals!! I want to do this for my mom!!! Thank you so much! It was a lot of fun to put together. Hope your mom loves hers!! What a precious gift idea! My mom has such unique taste that I’m always having trouble deciding what to get her – but she may just like this! What a cute little box! I love this idea!! I love this for Mother’s Day! My mom friends and mom would love this so much. Aw this is such a great idea!! So sweet!! Such a great idea. Love your picks. We don’t have Mother’s Day in India but my Mom would love this. This is such a great gift idea! I love how you can make it personalized too.